The Halal food industry is one of the country’s most revenue-generating sectors. 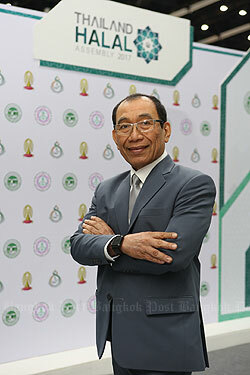 Last year, Thailand was ranked among the world’s top 10 halal product exporters. Now, all parties concerned, both from the public and private sectors, have joined forces to position Thailand as a top-five Halal-exporting country by 2020. Realising the potential of the Halal food industry, The Central Islamic Council of Thailand (CICOT), in association with The Halal Standard Institute of Thailand, and The Halal Science Center ChulalongkornUniversity, staged the 4th Thailand Halal Assembly 2017 to showcase to the world the capacity of Thailand’s Halal industry and provide Thai Halal SMEs with connectivity with international traders, while exchanging knowledge and know-how of Halal science among academics from around the globe. Recently held at BITEC Bangna, the event was presided over by His Excellency the Sheikhul lslam of Thailand Mr. Aziz Phitakkumpon. Assoc. Prof. Prakorn Priyakorn, Ph.D., Director of The Halal Standard Institute of Thailand, said: “Following the great success of the event last time, we continued to organise the event again this year. Our main objective is to promote the strength of the Thai Halal industry to the world, resulting from the dynamic mechanisms. We are equipped with knowledge, innovation, and technology to develop Halal products to meet international standards. Conceptualised as Halal Wisdom: Convergence of Science, Technology and Islamic Arts, the event featured both an academic conference and trade exhibition. The Halal Science, Industry, and Business International Conference (10th HASIB 2017) is an assembly of academics from around the world to discuss Halal innovations and technology for the benefit of Halal industry development. 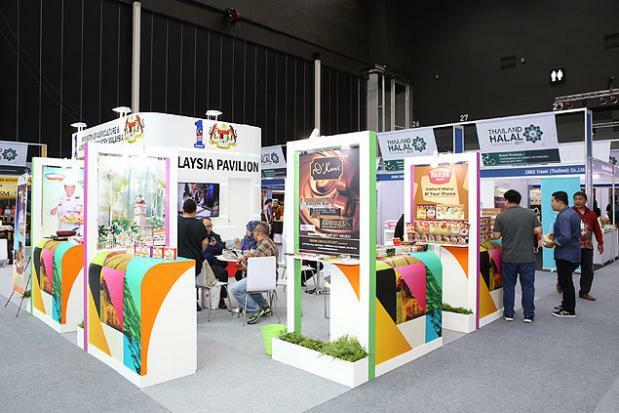 The Thailand International Halal Expo 2017 (TIHEX) served as a meeting point of over 250 exhibitors in Halal business from 12 countries worldwide. The Halal Standard and Certification Bodies Convention 2017 was a congregation of Halal certification bodies from around the world. Moreover, there were research and innovation presentations relating to Halal science, and business matching between Thai Halal entrepreneurs and international traders. The four-day event welcomed approximately 25,000 visitors.